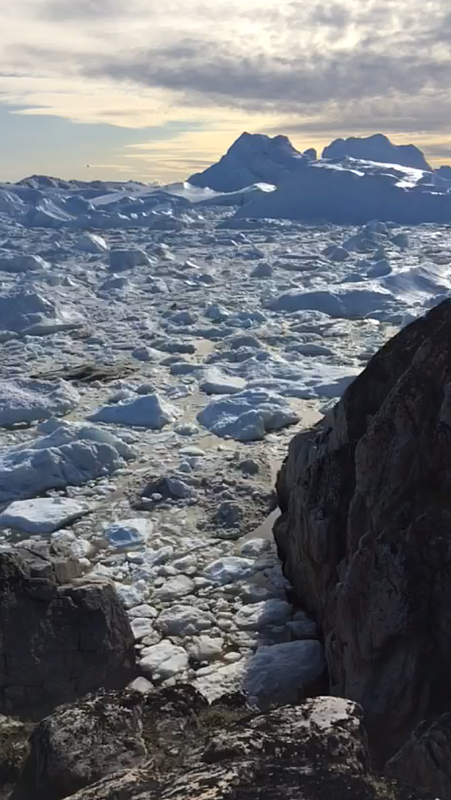 What is it like to stand on the rocks, just in front of an icy landscape. The view is breath taking, to say the least. There is not even a single soul in front of you. You are a part of the landscape. This is just another view of Greenland. I like the picture being flanked by rocks on both side. 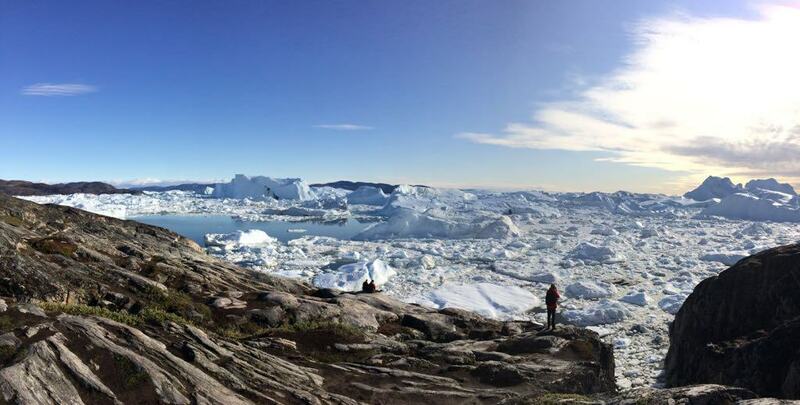 Greenland is a land of profound beauty. 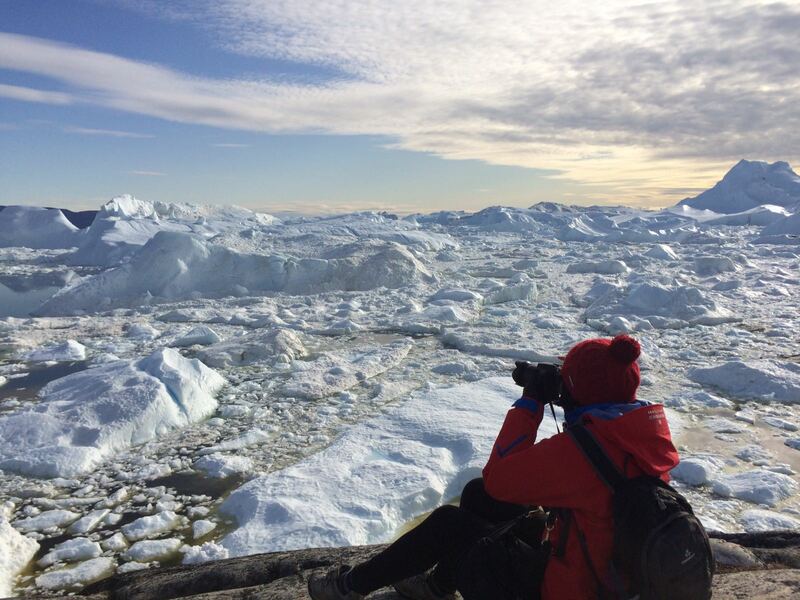 The view is stunning; here is a picture of my wife photographing in Greenland. The picture was taken by by sister-in-law. 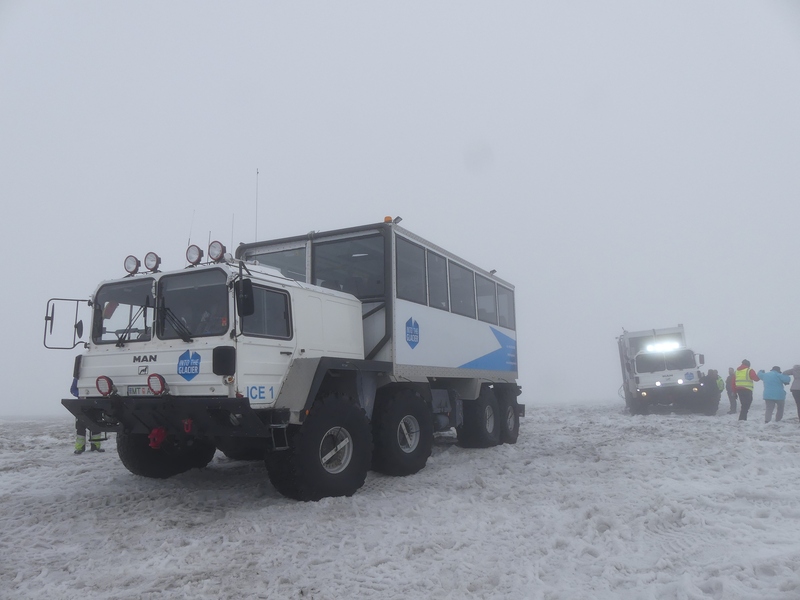 Big monster vehicles brought tourists to the entrance of this ice tunnel inside a glacier in Iceland. 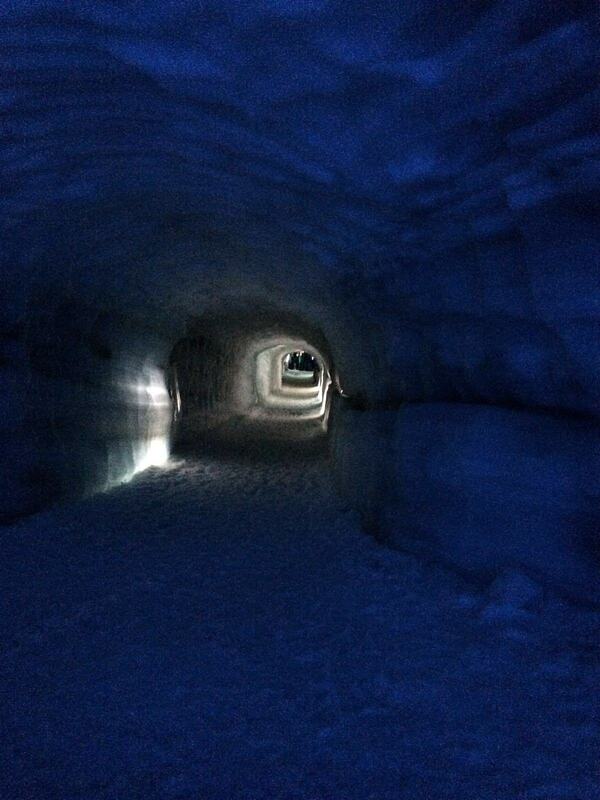 One can see the light at the end of the tunnel. Photo was taken by my wife Linda with a smartphone.